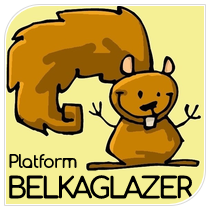 Belkaglazer is a complex EA allowing traders to build diverse trading algorithms and create custom FX market research. The EA is based on 3 models: PriceChannel [PCh], Pivot, PriceAction [PA]. The models have a clear logic. The EA has a modular structure. Breakout [BR] is the price movement through certain support/resistance levels that prevent prices from moving lower/higher. The breakout strategy typically enters the market during periods of high volatility with a buy/sell pending stop order that is placed at a horizontal resistance/support level. Strong price movement may be a trigger for a breakout. 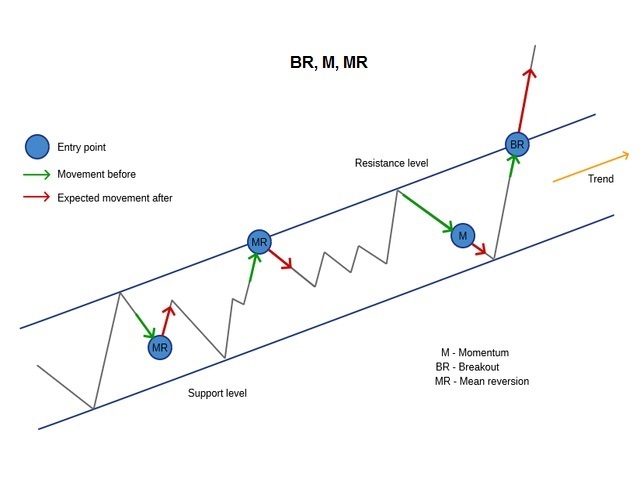 Breakout[BR] trading is a form of Momentum[M] trading. Momentum [M] is a general class of strategies based on the continuance of current trends. The idea behind this strategy is that after a significant short term movement the price will continue to move in the given direction until it loses strength. This strategy consists in buying/selling an asset after an unusually large upward/downward price movement. As a rule, it opens a position with a market order executed in the momentum direction. Mean Reversion [MR] is a general class of strategies based on the assumption that after a strong movement the price will revert back towards the mean (average value). This strategy is often referred to as counter-trend or reversal trading. It consists in selling/buying an asset after an upward/downward price movement. The strategy enters the market in the opposite direction with a pending limit or market order when the price comes close to a support/resistance level. 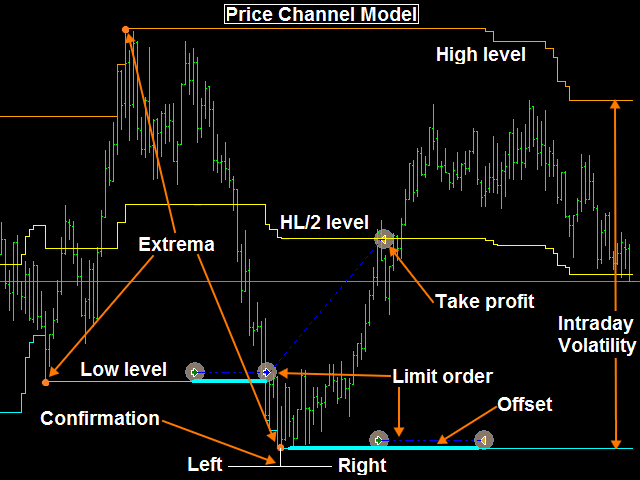 Price Channel [PCh] model uses horizontal support [Low] and resistance [High] levels based on the minimal/maximum prices (extrema) confirmed during a certain period of time. The PCh model can be used as a breakout or mean-reversion strategy. It is possible to set/adjust the offset of the High/Low levels for optimization purposes. The optimal TP/SL levels for the MR/M are in the middle of the price range (HL/2 level). – Inclined Lines (PCh Mode) [added in 1.79 version of the EA]. In this mode, the EA constructs two inclined lines (support and resistance levels) based on two confirmed extrema, forming a price range. The ‘ExpirationBars‘ parameter determines the maximum lifetime of an inclined line since its construction. 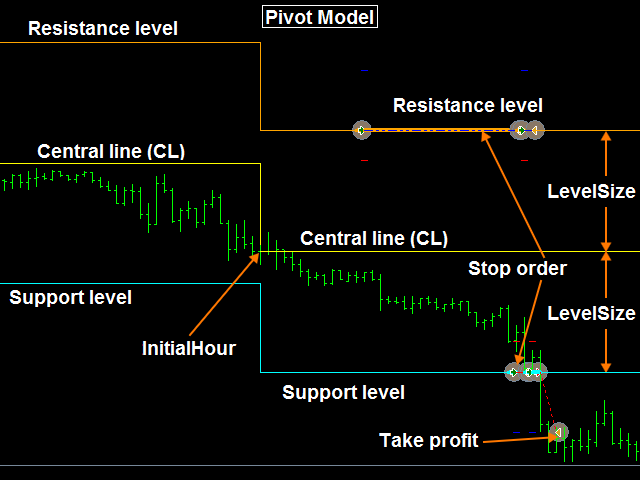 Pivot model uses pivot points to determine critical support and resistance levels. The EA calculates central line (CL) at a specified time (Initial Hour) using the following formula: CL = (Highest Price (Period)) + Lowest Price (Period) + Close Price At Specific Time) / 3. Support levels (SL) and resistance Levels (RL) are then calculated off this central line: SL = CL – a Percentage of the Daily ATR (Average True Range); RL = CL + a Percentage of the Daily ATR. The model can be used for building a breakout or mean-reversion strategy. 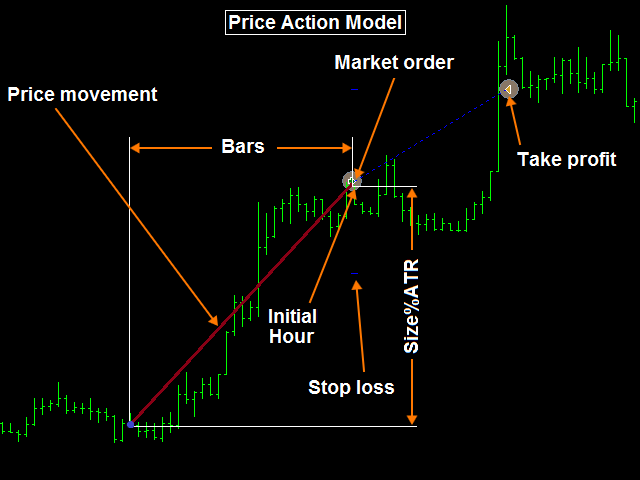 Price Action [PA] model is based on the analysis of price movements over a certain period of time. The model identifies simple M/MR patterns and can be used to build a seasonal trading strategy. Filtering is a way to improve the quality of trades and the performance of a strategy. Filtering reduces the number of trades and increases the profit factor. The filtered strategy has a higher Average Trade (Total Net Profit / Number of Trades). Unfortunately, filters can’t turn a losing strategy into a winning one. Therefore, a good strategy should be profitable without filters. Using too many filters may result in over-filtering and curve-fitting! Trend filters allow a strategy to open trades only in the direction of an overall trend, filtering out losing trades against the trend. Volatility filter will ignore signals if the volatility is too high or too low. Pivot/Range/Shadow/Hurst/RSI filters might help find good market conditions. 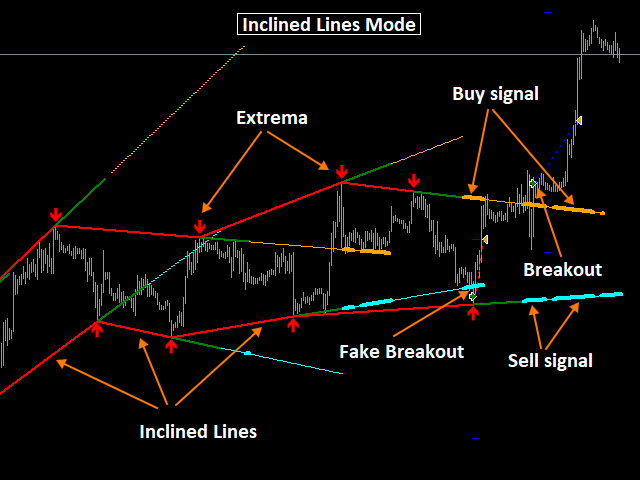 The buy/sell signal generated by a trading algorithm (model+filters) is executed as a limit/stop/market order. The trading system manages open positions using take profit, stop-loss, time-stop, trailing-stop and other tools. The Belkaglazer Researcher may help you with ideas for creating a new trading strategy.